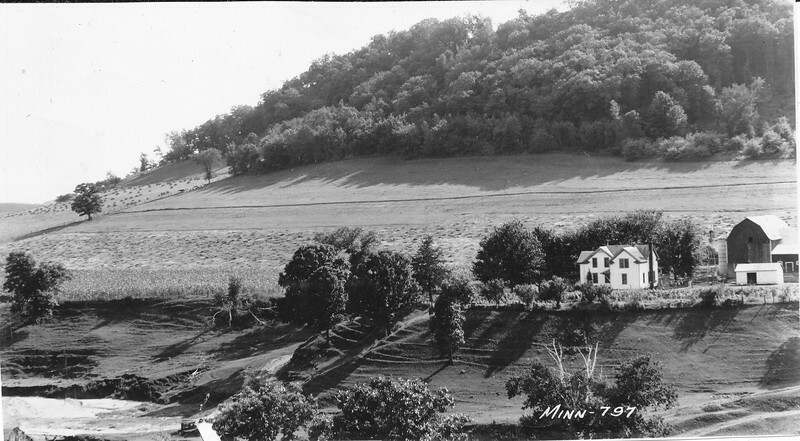 Minn - 797 - mary an Joe Von arx farm. La Crescent, Minn., Project 3, 8/5/38. Strip cropping on the farm of William Von Arx, brother of Mary and Joe Von Arx. His farm lies on an opposite slope.